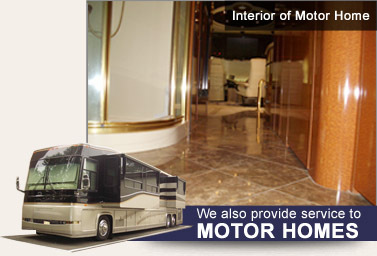 We provide marble, granite maintenance and restoration services for homes, offices and recreational homes in New Jersey. Our marble restorers are experts in all phases of stone repair and color restorations and will give your marble and granite counter tops that look and luster of the original form. We have revitalized many marble and granite kitchen countertops, marble floors, granite stone, tile grout and marble statues found in homes and offices throughout New Jersey. We also provide commercial janitorial services for offices in New Jersey, as well as construction cleanup. All of our marble restoration employees are friendly and courteous and have many years of experience getting out the toughest stains and discolorations in marble and granite. 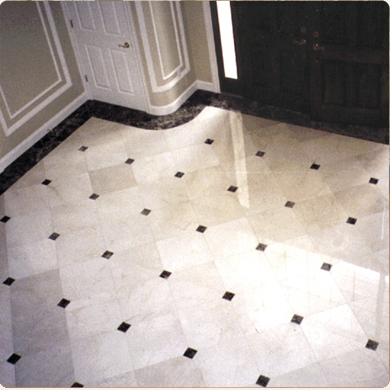 We perform all of our own marble restoration services and will never use outside or subcontracted help. We have our own fleet of marble service vans and supply our own marble maintenance and cleaning solutions. Our marble restoration work is fully insured and our marble maintenance workers and representatives are fully bonded for your protection as well as satisfaction. When your marble, granite and porous material on stone counters, marble flooring, walls, showers, vanities, bars and other porous surfaces in kitchens and bathrooms become dull or need maintenance, give our marble restoration service a call. 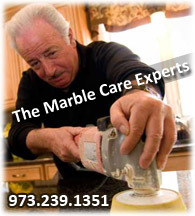 We provide free estimates on marble, granite repairs and restoration services in New Jersey. Aldayna Stone Care & Maintenance provide marble restoration, grout maintenance and janitorial services for all homes and offices in New Jersey. Protect and revitalize your home’s interior investment. Call us today for a free estimate at (973) 239-1351. Your natural stone’s appearance will be enhanced, and you will be absolutely amazed!